Just as important as praying itself is knowing how God wants us to pray. The how is so important because when He reveals how He wants us to specifically pray, it puts us in alignment with His perfect will and order regarding the person, place, or situation we’re praying for. It is a glass slipper moment if you will. Meaning our prayers must fit the purpose for which God is wanting us to pray and not just what we think or assume is the best way. In our enthusiasm, we can take off praying down our own course through our own thoughts, wisdom, and emotion. The problem with this is that our human wisdom and understanding doesn't always line up with the higher wisdom and understanding of God. And if we aren't careful; we'll end up praying soulish prayers instead of true Spirit-led prayers. We must be intentional in our prayer life. That means we need the counsel of God's Spirit to guide us. We must ask, listen, and wait for direction from Holy Spirit regarding how to pray in any given matter; whether it’s for ourselves, our family, a friend, church, community, or nation, etc. We must get our prayer directives from the Holy Spirit, who is the Spirit of truth (John 16:13), and then pray what He shows us to at any given time. Nothing more and nothing less. It really is that important. Sometimes, praying in our spiritual (heavenly) language is the only way to accomplish what the Father wants. Said another way, it is often the how. The Scriptures refer to this as praying in the Spirit, because only the Spirit of God [Holy Spirit] truly knows the will of God (Romans 8:26-27; Ephesians 6:18). Let me interject something. 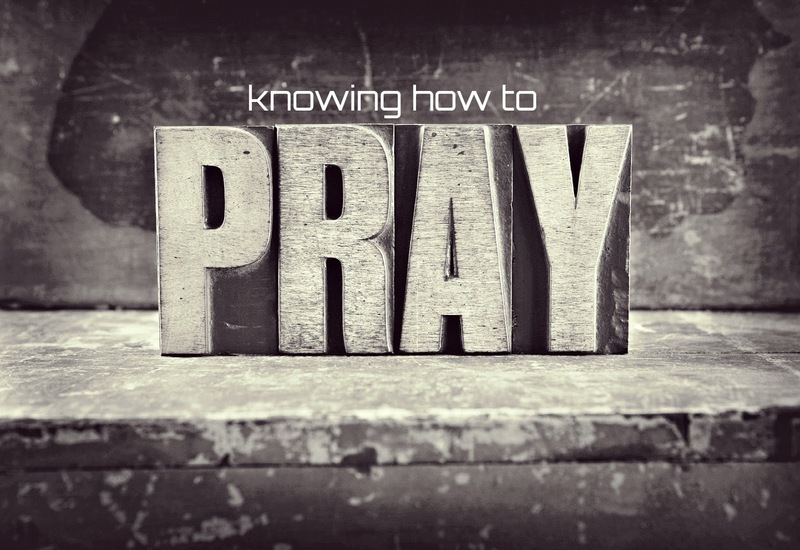 We know when one of the disciples inquired of Jesus how to pray, He revealed what we refer to as The Lord's Prayer (Luke 11:1-4; Matthew 6:9-13), and this is clearly an important instruction from the Lord himself; nevertheless, when we are praying about specific matters we require specific prayer instructions and strategies relevant to the need. This is what the Holy Spirit shows us, according to the Father's will, and this is why it's vital we seek Him. Our prayers will be most effective when we pray according to the will of the Father. This is where the how comes in. Praying how He wants is to pray according to His will, and when we pray the will of the Father we are coming into agreement with Him and His purposes. The Holy Spirit will define "the how" as we seek Him because knowing how to pray matters just as much as knowing when to.